check out my new hammer! | Saltwaterfish.com Forums for Fish Lovers! check out my new hammer! got this yesterday, my clowns love it! Beautiful! forgive me for asking, what did you pay for it? A small hammer out my way cost $60.00 and I mean small. But does it love the clown? 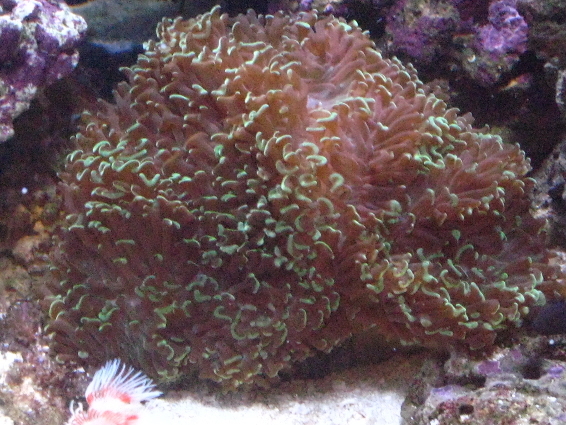 I had my clowns try and host a flowerpot coral and it wouldn't open anymore, it eventually died. Looking at your picture it doesn't seem to mind, but I thought I would ask anyway. 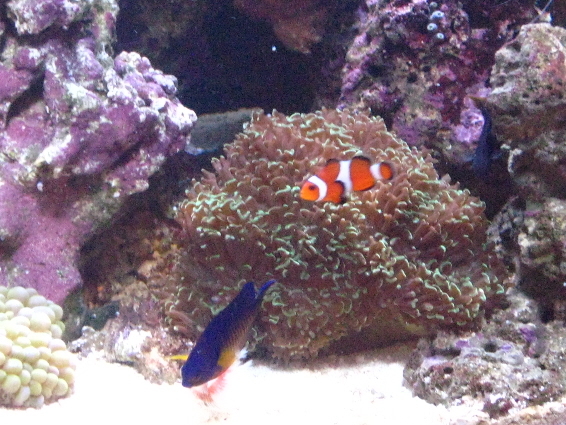 It seems fine with the clown, all the other fish are checking it out too, it has stayed open. I got this for $80, at the lfs they had a 20% off of all coral, they usually do on the weekends, I guess to get things moving before more comes in. There it was big a day, I couldn't resist. is that a wall hammer? or is it just branching? 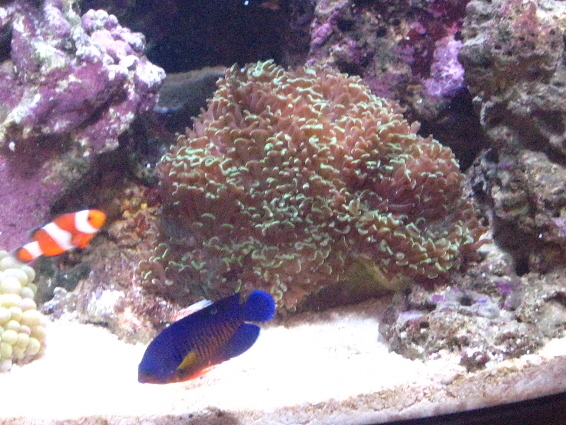 be careful with the clowns, they can irritate the coral and kill it over a couple months. I think it's a wall, it has a curvy shell and the fleshy part is in the middle, as opposed to my frogspawn wihich is branching, they look different. as for the clown fish, I had a pair, one died, and I got another, since then my female has been chasing the new one around. for now they have forgot about the hammer. It is full open and blowing in the current. thanks, I am quiet happy with it.